This CAC-CAM system allows us to replace crowns, remove defective silver-mercury fillings, and restore decayed teeth in just one visit! 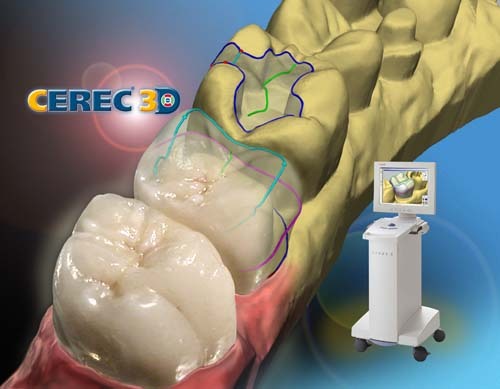 The ceramic material used in CEREC restorations is highly bio-compatible and blends seamlessly with your natural teeth. You no longer need to have a temporary for 2 weeks and require a second dental visit to remove the temporary and bond the crown. Call us and ask about single visit CEEC restorations today! Single Visit Crowns & Restorations!